After the tremendous response we have received to the Intrepid Campaign shorts, we bring you a brand new product from across the Atlantic--the Intrepid DH Recon shorts. These shorts come with all the features and top quality you've come to expect from Shift Cycle Wear and Intrepid. The fabric used to make these shorts is a super light weight 600 Oxford material, very resilient and very soft. You can be sure you won't have problems with chaffing and they're ideal for wearing on the toughest of trails. Are you going on an all-day riding trip? 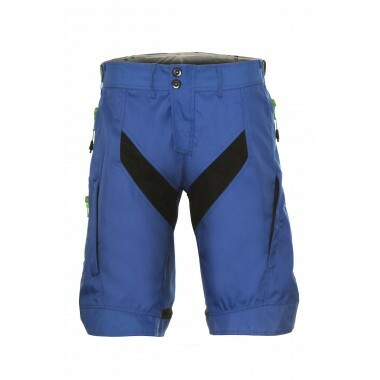 Then the Intrepid DH Recon shorts are just what you need. The quick-dry fabric allows sweat to evaporate quickly, keeping you dry and comfortable. These shorts keep you cool and ventilated with the help of ribbed panels that serve as air vents at the thigh and the back of the knee. These panels also offer you added comfort because of their elasticity. Will you be wearing body armour under your shorts? That's fine. Your Intrepid DH Recon shorts have been cut keeping that requirement in mind. 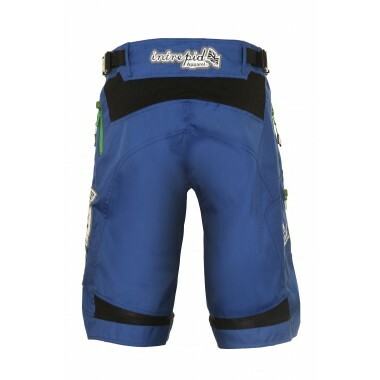 Add to that the quick release waist adjusters and you have a pair of shorts that fit you perfectly. And did we mention the reinforced knee cuffs? They'll make sure your shorts don't ride up while you're cycling. We at Shift Cycle Wear understand that you need to be confident your shorts will stay in place no matter how much stress you put them through. 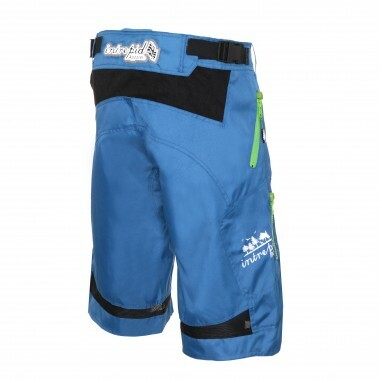 The Intrepid DH Recon shorts have heavy-duty seam tailoring and bar tacked stress points. The front fly is zippered with custom made zip pullers and zip garages, and has a dual snap closure to make sure they'll hold. If you think you might need to wear a belt with your shorts, they even have the belt loops you'll need right there. Are you thinking about how you'll carry stuff? That's not an issue either. Your shorts have two hand and 1 cargo pockets with big, sturdy zips which you can pull up to keep your stuff from falling out. What's more, there's a hanging loop on the rear of the waist band. Just attach whatever you need to hold. We haven't forgotten the style factor. We know you want to look cool on your favorite bike. So these shorts have a sharp silicone logo across the thigh and on rear of the waist band and trendy visible #8T YKK Vislon zips. Available in two smart colors, you can take your pick from jet black and vivid blue. And of course they're low maintenance. Just toss them in the washer when you're done with them. 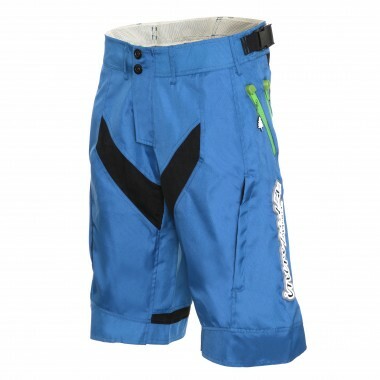 Drop in on us at www.shiftcyclewear.com and check out our new shorts. 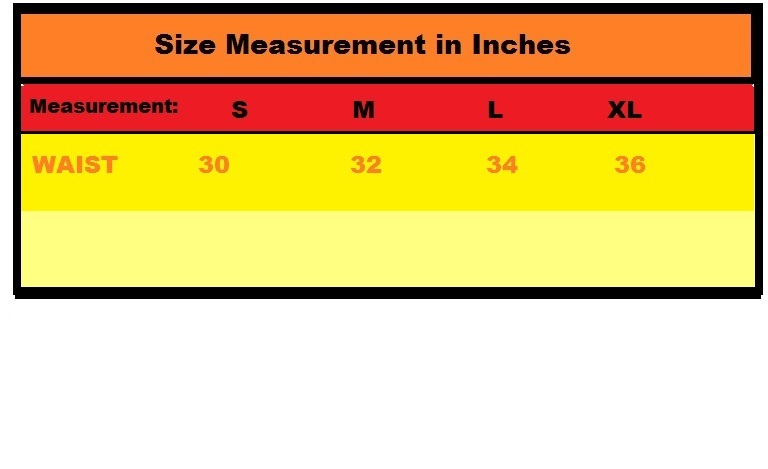 We have a range of sizes and you can pick the one that fits you perfectly. Slip on a pair of Intrepid DH Recon shorts and take your cycling experience to a whole new level. • Cargo pockets with iPhone pouch, karabiner and oversize zip. If these shorts don't have a pocket for it, you probably don't need it on your ride!